"Dr. Kelly did my exam, and she really takes the time to explain every step of the way." "I couldn't have asked for a better dentist or hygienist!" "Such a super friendly staff." "The best, most professional, friendliest dentist anywhere." "What a pleasure to go to a dentist's office & look forward to it!" "Excellent cleaning! I love the efficency of the office." "Had an amazing experience as a new patient at this office!" "Got my first cleaning done in the office and I was amazed." "Procedures were quick, easy and best of all...painless!" "They did everything to make me feel comfortable and answered all questions I had." "Another GREAT visit with a wonderful staff." Santa Clarita Advanced Dentistry is a state-of-the-art dental practice providing award-winning care for patients of all ages in Valencia, California, and throughout the Santa Clarita Valley. Santa Clarita Advanced Dentistry features advanced technologies to offer the most innovative approaches of preventive, restorative, and cosmetic care and treatments. Each care plan is tailored to the needs of each patient for the best possible outcomes, ensuring the highest levels of satisfaction. The team at Santa Clarita Advanced Dentistry is dedicated to helping patients feel confident and comfortable during their care. Patients enjoy the creature comforts of free parking, WiFi, and beverages. Families can dip into the kids’ “treasure chest” for a little extra fun. Santa Clarita Advanced Dentistry offers different payment methods to suit everyone’s needs. Monthly promotions, in-house dental savings plans, or no-interest financing options are available. The dentists and team at Santa Clarita Advanced Dentistry want to make oral health simple, convenient, and affordable for patients of all ages. Santa Clarita Advanced Dentistry is recognized as a leading provider of oral health care in Valencia, California. The practice is committed to supporting the communities it serves and actively contributes to local charities, schools, and other organizations. The practice offers weekday, evening, and Saturday hours. Call or book online today to schedule a consultation and evaluation. At Santa Clarita Advanced Dentistry, we accept all PPO insurance plans. Here is a list of some of the plans we accept. Please contact our office if you do not see your insurance provider listed. "Great place for your dental needs! Dr. Cho took care of my fillings in a timely manner and made going to the dentist easy and FUN! Thanks!" "I loved my experience and I love the doctors, assistants, hygienists, the world-class patient care and extremely technologically advanced dental practice!" "Everyone is wonderful. Thank you Dr. Jared for my new front teeth." "Another great experience here at Dr. Smudde's office. I think Dr. Ryan is wonderful and his assistant, Carigan, was so caring and helpful." "Very welcoming dental office. Clean, upscale and comfortable. I will definitely be returning and would recommend their service to anyone I know!" "I am petrified of the dentist and they made me feel so comfortable that I am finally going to get all my work done. Definitely the best place to go!!!" "I've been seeing Drs. Allen and Kelly Smudde since 1999 and I love how professional AND friendly everyone is. The office is always super clean and inviting." "Just had my 6 month cleaning and check up! My hygienist is always amazing, and thorough in making sure my teeth sparkle!" "Dr. Cho made me feel that I wasn't so bad and all would be taken care of--gently and completely." "Had a great appointment today with Erin and Dr. Cho. Always friendly, comfortable, and spa like!" "They make you feel very comfortable and the staff is always so courteous. 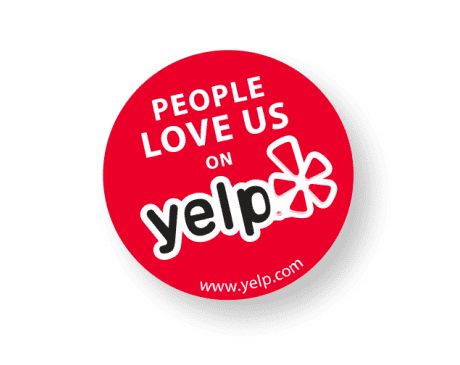 We have been going there for years and love it!" "I want to thank Dr. Inbo Cho for being a great dentist as well as a great all round guy!" "Dr. Cho was great and I will be coming in soon for other treatments." "Great service and advice, very professional staff, glad we found you." "The great care that I get at Dr. Smudde's office keeps me going back!" "I have been going to Dr. Smudde for years and it is consistently the best dental experience ever!" "Very personable and professional. I'm well taken care of." "I'm so happy that we went with Dr. Smudde's office." "Dr. Cho and the staff were great as always-professional, caring, informative!" "On time, efficient and friendly."